Jasmine Daya is a lawyer who enjoys working hard at the office and at home in the kitchen. She recently released her brand-new cookbook JD In the Kitchen: Indian Appetizers and Chutneys. 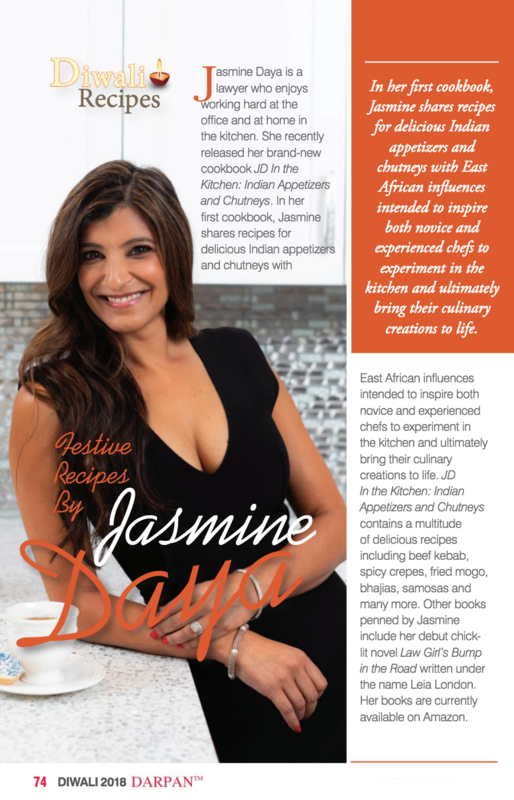 In her first cookbook, Jasmine shares recipes for delicious Indian appetizers and chutneys with East African influences intended to inspire both novice and experienced chefs to experiment in the kitchen and ultimately bring their culinary creations to life.